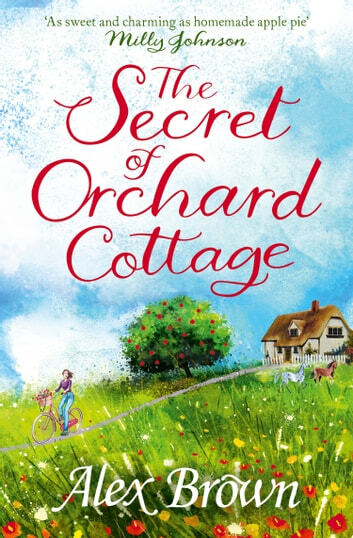 ‘An intriguing and heart-warming story you will love’ Katie Fforde April Wilson is wondering what to do next – her life has been turned upside down after the loss of her husband so she’s hoping to piece herself together again with a visit to her elderly great aunt, Edith. Arriving in the rural idyll of Tindledale, she’s dismayed to find Edith’s cottage and the orchards surrounding it in a sorry state of disrepair. Edith seems to have lost interest completely, instead she’s become desperate to find out what happened to her sister, Winnie, who disappeared during WWII.April gets to work immediately, discovering that the orchard still delivers a bumper crop each year, and with the help of some of the villagers – including Matt, the enigmatic Farrier – begins to unravel the mystery of the missing Winnie. 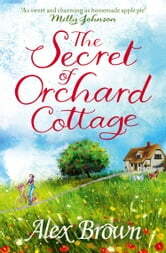 Slowly,April can feel things coming to life again – but can Orchard Cottage work its magic on her too? Wonderful ! My first Alex Brown read but so rewarding. It holds a little bit of everything : courage, compassion, grief, love... We'll done! I thoroughly enjoyed this book, even managing to knit two sleeves as I read. Appropriate don't you think. A very talented author who manages to evoke so much emotion in the reader. This is an uplifting story. I empathised with the characters. I recommend this book for a light easy read. I thoroughly enjoyed it.